Hanging Cheek or 'filet baucher' Waterford mouth from Grafton. 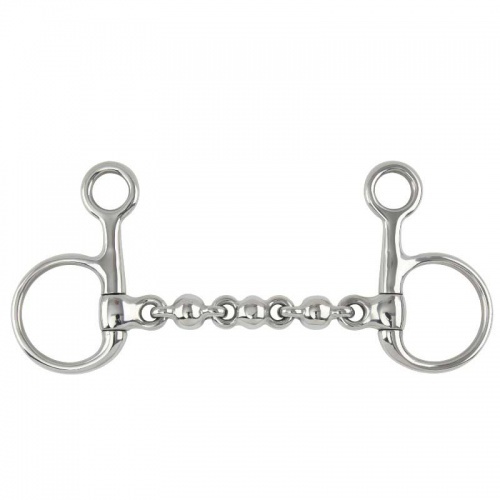 The hanging cheeks creates slight lever action which encourages flexion in the horse. The waterford mouth which is made up of several links prevents the horse from taking hold and leaning on the bit. 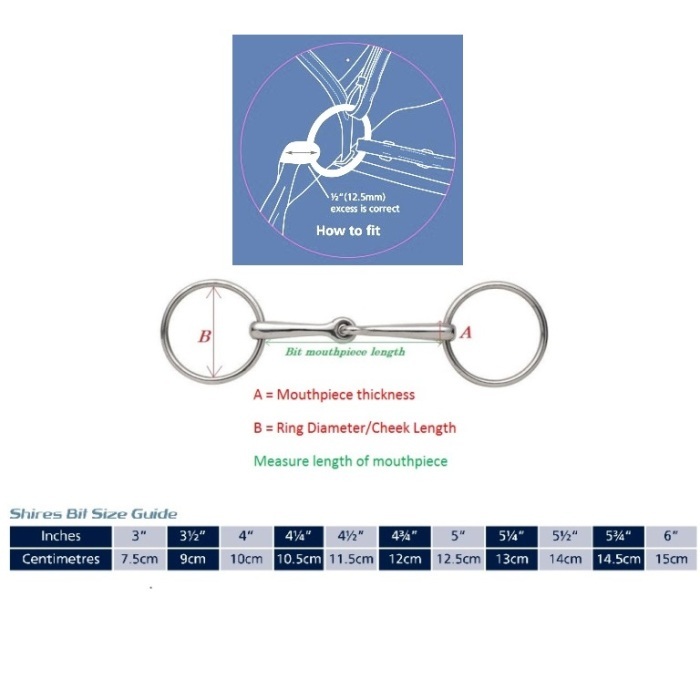 Measure: A = 18mm, B = 110mm available in sizes 5" and 6"